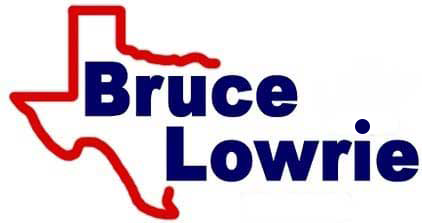 If you're looking for a new and used car dealership that keeps prices competitive, boasts customized auto experiences and can help with a variety of needs, head to Bruce Lowrie Chevrolet in Fort Worth, Texas, today! We proudly assist all our Burleson neighbors, so feel free to get in touch with us for the hassle-free experience that you deserve. We stock both new and used cars for sale, so snag a new Chevrolet Equinox or a used Silverado 1500 pickup with help from our auto sales team. To help streamline your vehicle purchase process, we've made our entire inventory available online; browse new Chevy models or check out the pre-owned options we carry from a variety of vehicle manufacturers! End your search for competitive auto loans near Burleson, Texas, turn to our auto dealer's car finance center! We work with new and used car shoppers of all backgrounds and credit scores, so don't hesitate to complete our car credit application whether you hold a pristine credit score or a sub-prime rating; there's a vehicle financing solution for you here at Bruce Lowrie Chevrolet! So if you're looking to protect your car's resale value and warranty, team up with our professionals! Drop by our Chevrolet dealership near Burleson anytime during our business hours; simply start out by heading east, turn left onto E Renfro St., take a right at the second cross street, onto N. Wilson St. before continuing onto NW Hillery St. Turn right onto NE Wilshire Blvd. and follow signs for Interstate 35W N/Fort Worth/Alsbury Blvd; merge onto I-35W N. You'll soon merge onto I-20 W toward Abilene before exiting toward Farm to Market Rd. 731/Crowley Rd./James Ave.
<>You'll then merge onto California Pkwy N/SW Loop 820 before taking a slight left onto California Pkwy S/SW Loop 820; our new and used Chevrolet dealership will be on the right-hand side. We look forward to seeing you soon!